The number of online slot games has exploded over the last few years. In-browser casinos mean that players can now access games without a cumbersome download. This also means that smaller slot software makers are able to get their games in to big name casinos. Fortunately for smaller stakes players – many of these games can be played for pennies. 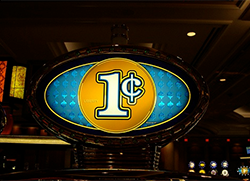 Penny slots are games which can be played for small stakes – think 25c per spin, rather than $3 each time. There are some slots where you can literally play for a few pennies. What you’ll find here is that you need to cut down the number of lines played to the point where the games are less entertaining. This article gives you a detailed introduction to the world of penny slots. First of all below the question of whether it is worth playing for pennies at all is addressed – via looking at the pros and cons of this. Next the different types of penny slot you’ll find online is covered. How to find slots with the best returns is the topic of the next section, before I look at how bonuses and rewards can give your slot returns a boost. Let’s say a player has a small bankroll to enjoy the slot games with. Should they stick to the lowest stakes and maximize the number of spins – or play fewer spins with a bigger potential return? Your personal attitude to risk will have a big influence on this decision – though there are other factors to keep in mind. First of all, you should check whether there are minimum stakes needed per spin to partake in a jackpot pool. Many slots do give penny players the chance of a jackpot, though this will be proportionally smaller in relation to the stake used. Removing that small chance of a huge win can make a big difference to your enjoyment of the game over time. The same applies to bonus games – some slots require maximum lines or a minimum stake to unlock extra features and bonuses. With payouts based on the stakes you play, the most obvious downside of penny slots gaming is that the wins are often in pennies too. Older slots will often be configured so that the top win is proportionally bigger (usually for the 3rd coin). While this appears to be a small change, it does make a big mathematical difference to your returns. The big advantage of penny slots is that they will give you a lot of play for your money. You can often enjoy bonus games and very entertaining on-reel behavior while racking up (smaller) wins. The downside is that the big wins which can make a meaningful difference are often out of reach – though this will depend on the individual slot game and casino. Online slots are diverse, and have moved well beyond the simple 3 reel (traditional) v 5 reel (video slot) categories. 3 reel slots are not usually worth playing for pennies at all, since you’ll need to use 3 coins to avoid a very low return from these games – and those coin sizes often start between 25c and $1. Video slots can be sub-divided in many ways. The number of win-lines is common. If you find a slot with 20 or 25 win-lines, you’ll usually be able to play for smaller stakes than on a 50 win-line game. Some slots do not have the standard win-line setup at all, opting for ‘all-ways’ configurations’ where consecutive symbols from the left always pay out. The bonus games is another way that different types of penny slot can be categorized. Some games have simple free spins bonuses, while others allow you to break out from the main game and enjoy separate bonus games – often with entertaining graphics, video and game-play. Look out for jackpots before you play. Some slots have giant pooled jackpots which can go over $1,000,000. You will also find plenty of smaller jackpots online which would still be worth winning. Remember to check the rules of each slot to make sure that penny players are able to take part in the jackpot. You can also differentiate slots based on the devices which they work on. Some of the older slots still require you to download software onto a Windows PC (though this is rapidly dying out). You can play most games in a browser window these days, with many able to work on Mac, Linux and Windows machines. Mobile slots are enjoying an explosion in popularity too. Some games are specifically made with mobile play in mind or professionally adapted – while others are really just smaller versions of the original. It can pay to take the games you like for a test run before you play for real money. With so much competition between casinos – there really is no reason you should not be enjoying some kind of bonus offer every time you spin. What you need to be careful of is the terms and conditions behind each bonus. Offers which look identical on the surface can be very different when you see the small print. Free Spins and Free Play Bonuses are ideal for penny slots players. You might see an offer such as 20 free spins without needing to deposit. This gives you a taste of some of the top games for real money without risking anything. Some of these casinos will let you withdraw any winnings (after meeting their play-through requirement) while others will only allow this to be used for wagering, or cap the winnings at a certain level. Free play gives you cash to enjoy the games – though again usually comes with some restrictions. Welcome bonuses clear fastest when you play slots games. It is always worth checking the terms of these to make sure you do not accidentally play a prohibited game. There are big differences in the number of times you need to wager your bonus before it can be withdrawn. Finally, the most important bonuses of all for penny slots fans are the ongoing rewards and promotions offered by casinos. The best operators regularly top up your account with reloads, loyalty bonuses and one-off offers – for example free spins on the latest new slots. Make sure your casino knows how to look after its loyal players before you sign-up.